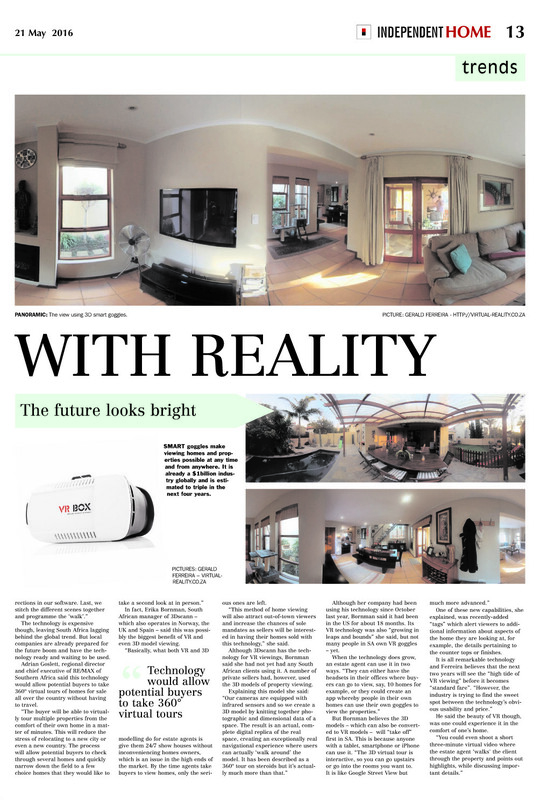 We have recently received some awesome exposure from the Independent Home insert which is published in the Cape Argus, Cape Times, The Mercury, The Star, Pretoria News, Diamond Fields Advertiser, Daily News, Isolezwe news papers that are part of the Independent Media Group. The article was written by Bonnie Fourie. 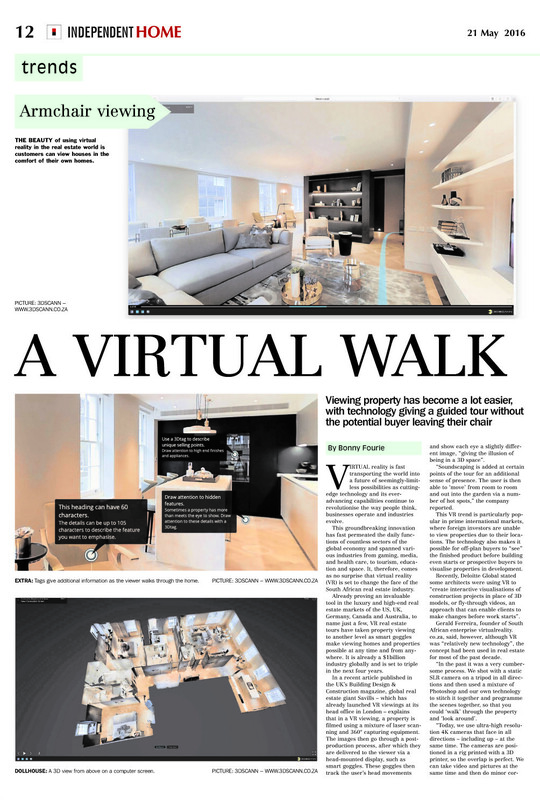 The article provides some great inside into Virtual Reality and how real estate agents can benefit from the exposure and opportunities that Virtual Reality, 360° video and Virtual Tours offer clients. If you are in the Real Estate industry and looking for a Virtual Reality Solution please contact us for more information on our solutions for Real Estate Agents and we will gladly assist you with your Virtual Reality strategy.